Google+ Shortcut Keys: covers the basic shortcut keys available for Google+. You can use this to navigate through Google+ posts and do all kinds of other neat things faster. Twitter Shortcuts: covers the key combinations you can use to create a new tweet, retweet posts, and do a whole lot more. 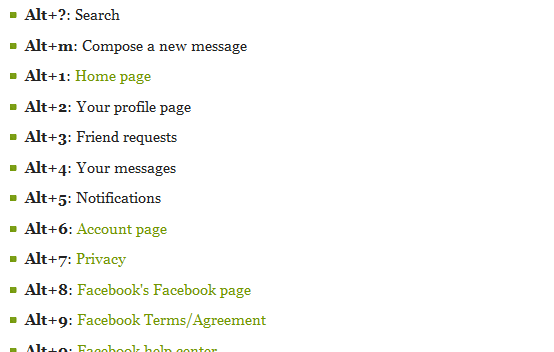 Keyboard shortcuts for Facebook: this guide shows you what shortcut keys to use to navigate through Facebook pages. If you like using shortcut keys to get things done on top social networks, the above guides can more than help.